Writing has many different genres within the fiction and nonfiction realms. There are children’s, young adult, romance, mystery, fantasy, science fiction, poetry, memoirs, biographies, travel, health, food, magazine articles, business content, and much more. - The genre is in their comfort zone. - They just don’t think of the rest of the writing world around them. Whatever the reason, the end result is that they may be missing out on another form of writing satisfaction and income. With today’s tight market, it only makes sense to take off the blinders and get the peripheral writing vision going. For writers who are the young children’s or article writing arena, contemplating writing a full length novel may feel overwhelming. It may feel impossible. Rather than dismiss a project for fear it’s too big or because it’s out of your realm of expertise, think simple. Write blog posts on the subject, or possibly articles. You can also start with a short story if thinking about writing a novel makes you uneasy . . . maybe draft an outline. Don’t let the enormity of the project stop you—write one page at a time. This philosophy goes for any new writing area you decide to step into. If the project itself feels too intimidating, think of it as a learning experience with nothing to lose. The new writing skills you learn will offset the time and effort invested. It’s true that most writers only feel comfortable in one or two particular genres. It’s also true that they may excel in those genres, their areas of expertise. This is a powerful combination that will certainly keep writers from taking off the writing blinders. The writing arena is full of opportunities. Taking the time and effort to develop a new writing style will certainly be an asset in your writing career. If your piece is accepted and published, you will have another writing accomplishment to include in your writer’s resume, as well as another avenue of income. There’s an expression: nothing ventured, nothing gained. 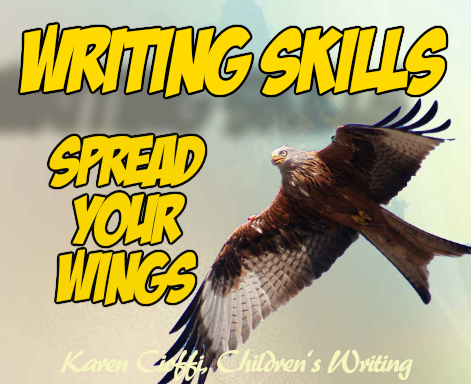 Why not venture forth today and spread your writing wings. Karen Cioffi is an award-winning author, ghostwriter, and author/writer online platform instructor. Get must-know writing and marketing tips at http://thewritingworld.com. LOL. Karen, I hope people learn to trust your advice – – if based on nothing more than that you use "enormity "correctly! LOL - Carolyn, you're probably one of the only ones who noticed! Your post bolsters my desire to write a memoir, which I plan to discuss in a future post. You're right, it's hard to imagine cramming anything more in my tight schedule but I had already thought, if I spend even 30 min. a day on it eventually it will bear fruit. So I'm going to save your post to remind myself of this new challenge. Thanks for helping us broaden our horizons, as always your encouragement is very much appreciated. Linda, I'm so glad the post is motivating. We all get stuck in ruts or just feel safer staying as is. I love the saying, nothing ventured, nothing gained. 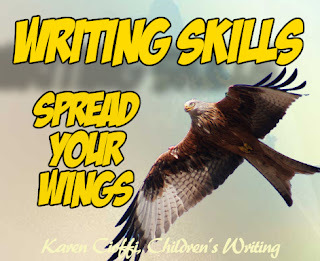 Thank you for this great post to encourage writers to spread their wings and jump into another type of writing. Like they say, "it will not fly if you don't try." For years I've encouraged writers to experiment to find new areas that work for them. In fact, I have a list of different types of writing in the first chapter of my Jumpstart Your Publishing Dreams book. Here's the link to the FREE sample of Jumpstart Your Publishing Dreams. It can be an idea starter for writers. Terry, you're welcome! And, thanks for the 'free sample' for our readers. I'm sure it'll be a big help! Are You Using Radio in Your Book Promotion? The Perfect Gift for Authors is Free!